DescriptionFrom Birge Preserve return to M-134 and head East for approximately 5 miles. Turn right (south) onto S. 4 Mile Block Road. Take the first right onto W. Club Road (where the sign for the Les Cheneaux Golf Club is). 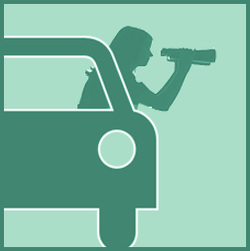 Drive less then a mile past the trail head to the parking area. This is one of the most beautiful preserves in all the Les Cheneaux with old growth Northern White Cedar, massive boulders, and an impressive array of summer breeding birds. 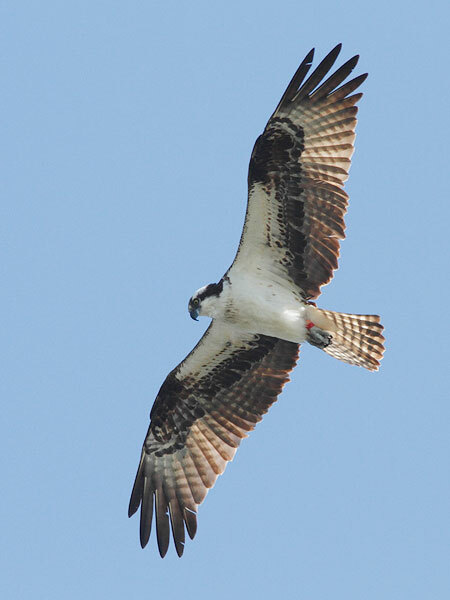 Osprey and Merlin both can be found nesting near the lakeshore overlook area. In addition the wooded area is host to breeding Pileated Woodpecker and a number of woodland Warbler species. Look for the 2-8 inch rectangular or oval shaped holes in the trees as evidence of the Pileated Woodpecker’s presence. These birds are quite fierce when it comes to making holes to get to bugs living inside the trees. Derby preserve is also a great place to visit in the spring and fall when there are small flocks of migrant songbirds and waterfowl over the open water. Other Exciting FeaturesAlong the trails of this beautiful preserve can be found a number of large boulders that were moved here by glaciers long ago. Many of these boulders consist of dolomite, which is a mineral created from fossilized ancient seabeds. Sometimes small fossils of ancient sea creatures and corals can be found in the boulders and in the rocks along the shoreline. The western trail loop is also an excellent place to see old growth Northern White Cedar trees, which are most likely over one hundred years old. When standing at the shoreline here, one can also see a number of historic homes located on Marquette Island that were built in the late 1800s and early 1900s.